The world of rock lost one of the great ones the yesterday with the sad passing of vocalist Ronnie James Dio. Ronnie succumbed to his battle with stomach cancer on May 16, 2010. 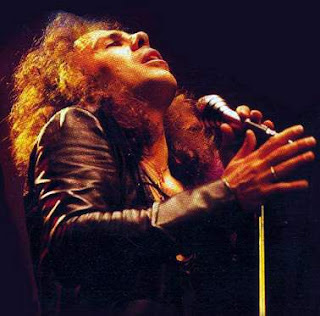 Ronnie James Dio was hailed as one of the most powerful voices in heavy metal. Dio was the voice behind some legendary metal bands like Rainbow, Black Sabbath, Elf, Heaven & Hell and his own namesake band, Dio. 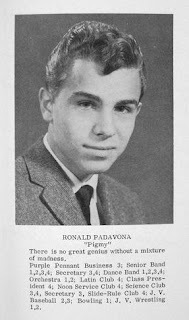 Born Ronald James Padavona, in New Hampshire in 1942, he was the only child in an Italian family. The traditions and superstitions of his heritage influenced his later stage persona with the gratuitous use of his trademark devil horns which was actually an Italian superstitious remedy to prevent the unwanted "evil eye". Dio's spent his childhood learning to play various instruments including the French horn which he said helped him become a better vocalist since it taught him how to breath properly. He enjoyed success with Rainbow but it was his selection to replace Ozzy Osbourne as lead singer for Black Sabbath in 1979 that really helped put Dio in the metal spotlight for so many. Growing up in the 80s you had to make a very important decision if you were a metal head - Dio or Ozzy? Who was the true frontman for heavy metal founders Black Sabbath? At the time I have to admit I didn't like Ronnie and always felt Ozzy was the one true voice for Sabbath but over time you learn to appreciate the operatic ability of Dio and the strength his vocals provided to the thundering guitars. He had a style all his own and was often imitated but truly never duplicated. His legacy is his body of work that spanned six decades. Here are a few examples of what made him a legend of metal. He was an awesome performer and person. Too little is said about his contributions to music. I don't think enough people realize how much of an impact he had on much of the music culture they see and hear today. I was very, very fortunate to have known Ronnie over the course of his last few years. He was always studying the latest humanitarian events and really wanted to make the world a better place than he found it. I know he did make differences in the lives of many, though he always wanted to do everything on a massive scale. I hope that he came to realize that he really did make a positive difference. Thank you for remembering him! !